Week 6 of the Focus on Life Blog Challenge sponsored by Sally Russick of Studio Sublime asks us to Feel the Love. Merry and Pippin are our sister and brother cats, and if cats can love each other, they prove it. They tussle, they groom, and they share furniture. Meet Merry and Pippin! 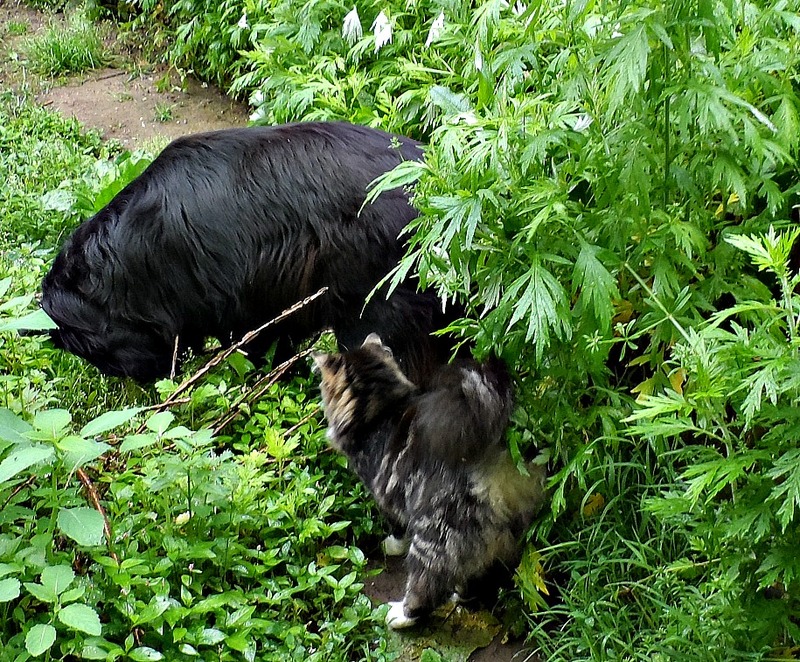 Pippin goes exploring with his other bestie, Bebop. To see how the other participants have felt the love, Click Here! Merry and Pippin are adorable kitties. So good that they love each other! 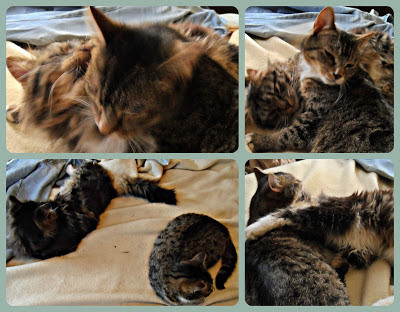 The love fur babies share is awesome and so fun to watch. Your kitties are beautiful, and must fill your days with endless love! So sweet! I'm enjoying seeing the many pets/furry family members that have been posted so far! One of the things I love most about cats is how they interact with each other. Always kittens at heart. Lovely photos of yours. Pets provide unconditional love! Great shots. Great pictures of the kitties! They make me want to get adopt a buddy for mine. Those are such sweet pics of the furbabies! What fun pictures of your cats. I can feel their love. Awesome photos of the fur babies! You can never run out of taking pics of the fur babies! Your furry residents are adorable! Animals loving on each other is such a pure kind of love I think. It's amazing how pets are featured in so many posts this week. They sure do capture our hearts. So lovely to meet yours! A beautiful collection of lovey dovey sweethearts! They are adorable. Wonderful photos. Pets bring so much joy into our lives. So sweet, I love cats they are so amusing! mine wants to be an only "child" jealous if any others come around. Lovely photo of all your babies! Lots of love there! Merry and Pippin! I am sure they are all in favor of second breakfast? Oh yes! and thirds even! How lovely. You can truly see the love. Oh, I love cats! Our dog, however, does not love them quite as much as I do :-) so I'll have to live vicariously with yours. Nice pics! I love their names, so cute!! Fun names! They look like they're every bit as close as their literary namesakes.